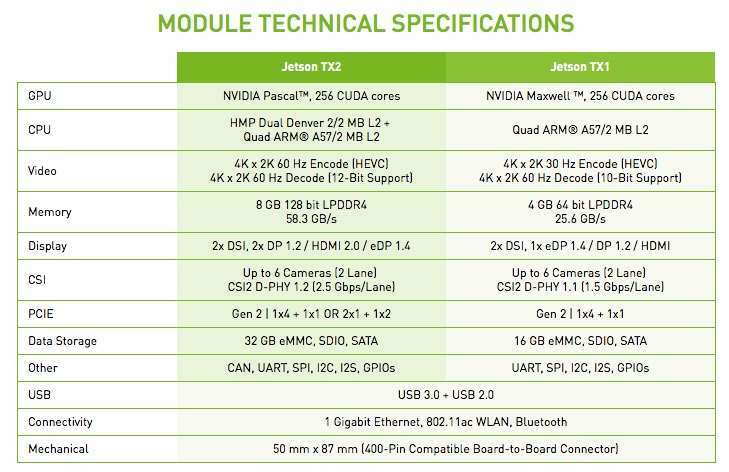 NVIDIA has today unveiled a new addition to its range of embedded computing modules with the launch of the new Jetson TX2 which measures just 3.4 x 2 inches in size and provides twice the performance of the original Jetson TX1 board. Equipped with a choice of processing options supported by 8GB of RAM, and 32GB of eMMC storage. The small embedded module is capable of supporting 4K Ultra HD video playback at 60fps with encoding and decoding from up to 6 cameras (for security systems or machine vision systems) simultaneously. 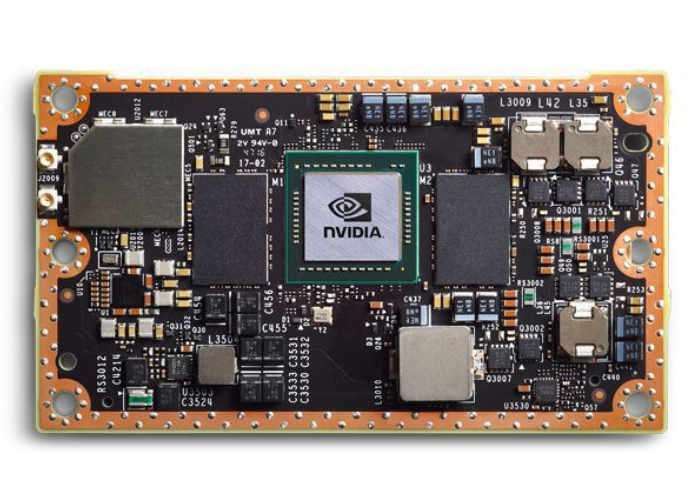 The NVIDIA Jetson TX2 developer kit with the module and a carrier board is available from today to pre-order for $599 with shipping expected to take place in just under a week’s time on March 14th, 2017. If you are looking to roll out the module in your hardware project prices as low as $399 are available when you purchase 1000 units or more.